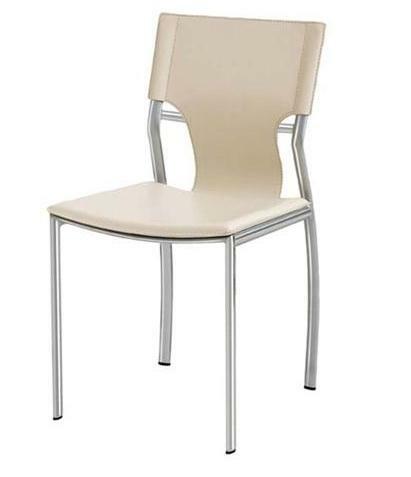 The Lisbon Dining Chairs look sleek and fashionable. 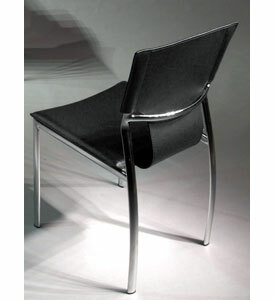 The modern appeal of the chair adds a casual touch to your home or office area. The seat and back are upholstered in leather. The four sturdy legs are steel-chromed for robustness and style. 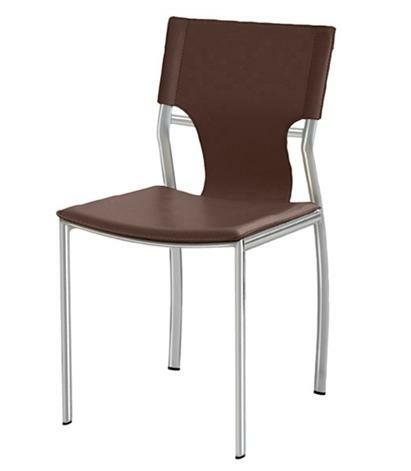 The Lisbon Dining Chair is available in your choice of Black, White and Brown. -- Please Choose an Option --	17.25" W x 19.5" D x 32" H: Seating Height 18"